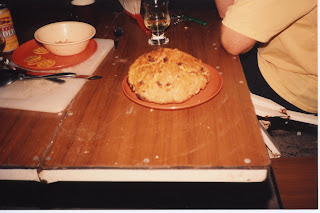 The Old Foodie: Damper, Episode 2. You've redecorated? Look forward to seeing it. I've had the damper on a stick with golden syrup. I am sentimental about damper because we used to have it as part of BBQs as a child - it was a big lump of flour and water (or it might have been milk, I can't quite remember) which came out of the ashes with a charcoal crust but tasted wonderful and fluffy inside when you ripped it apart. Not at all like most of the damper recipes you see on the internet.